Well past sunset and into the middle of the night, the Midnight Mummy Boy is up way past his bedtime. 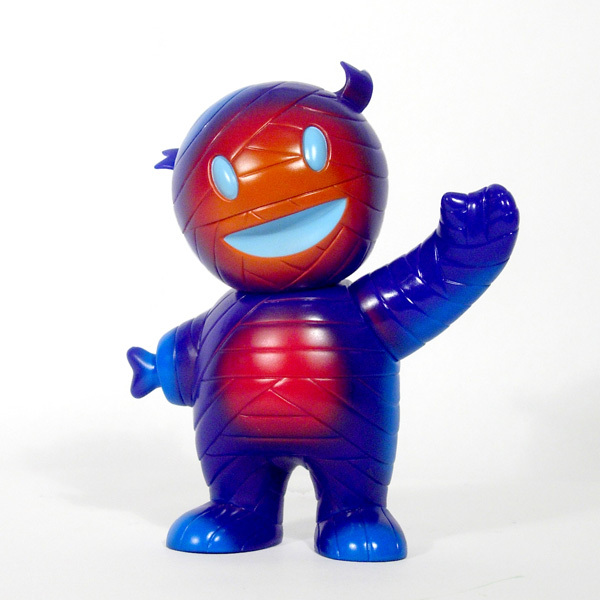 Cast in purple vinyl with red, blue, orange and light blue spray, Mummy Boy is happy to stay up late, and brings a bit of the warm glow of the day along. Available Saturday, September 12th, 11am Pacific, at the Super7 Store and online. $50 each.